Suitable for home use and practical for small and medium businesses, the Synology DiskStation DS718+ will provide the extra storage space (and security) you need for all the computers attached to it. Synology DS718+ NAS is the first option to check out if you believe that DS4xx series storage devices do not fit your needs. Business people will benefit from using such as it provides additional space for all your computer files and also serves as a backup in case your computer crashes. With this, you can be sure that no files or information will get lost which is very detrimental to any businesses daily operations. This also presents a very efficient way to centralize all your data, as many people can access one file all at the same time, which makes it very time-saving too. The Synology DS718+ processor is also very functional for home use. All family members can connect their computers or various other devices so that they can share music, pictures, and even games. They can also securely store important documents and files in this processor. There is a wide range of network attached storage products being offered in the market. Users are given so much option that sometimes it is quite confusing what to get. With this, you should be able to carefully discern what you need and what you want out of your device. 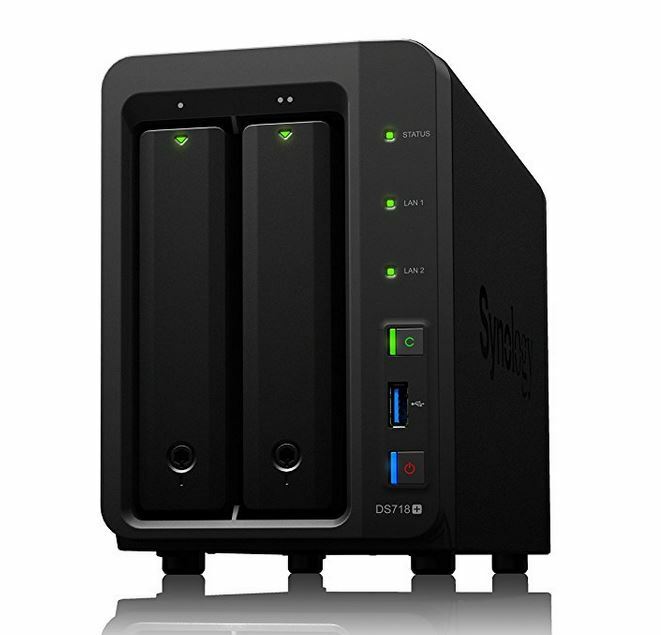 If you are looking for more storage power, you should check out the Synology DiskStation 1515+ or Drobo FS 5-bay Gbe Storage Array. Overall, the DS718+ processor received good (if not, great) feedbacks from users. Its speed is one of the best-noted features of this model. Many loved how fast it is even for high MB files, and shows the same speed for both Mac and Windows computers. Many people also spoke well of its quality. The machine does not give much noise. Its body is in metal, which gives the impression that it is durable and sturdy. The set-up is also straightforward, as noted. It is so effortless and straightforward that even those who are just first timers on using a NAS device will find it no brainer to install. Here I will post the comparison table where you will see how do the Synology 2 disk Plus series NASes compare. 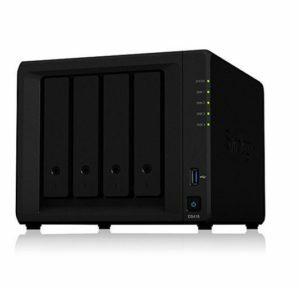 So if you are looking for a NAS device that is reliable and of quality, you may want to check out this Synology storage system. This offers you a quick and safe way to store all your documents and files while having it centralize so many people can access it simultaneously. This is a very well thought out processor which gives you the benefit of easy data management.